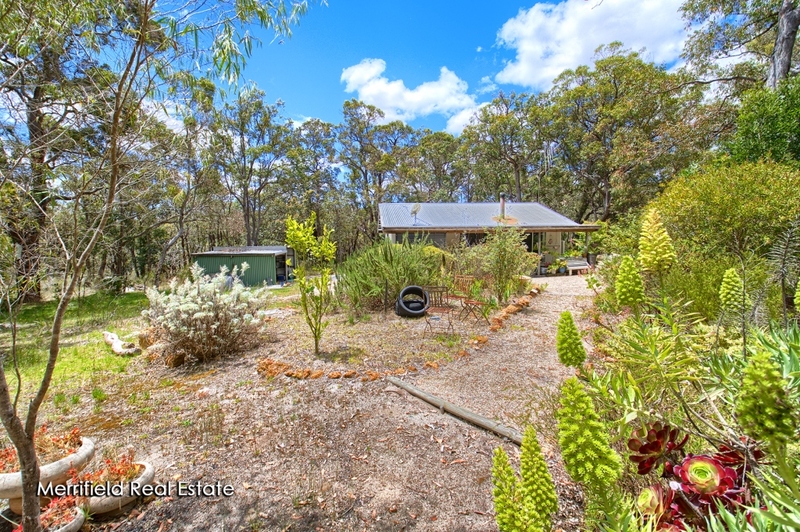 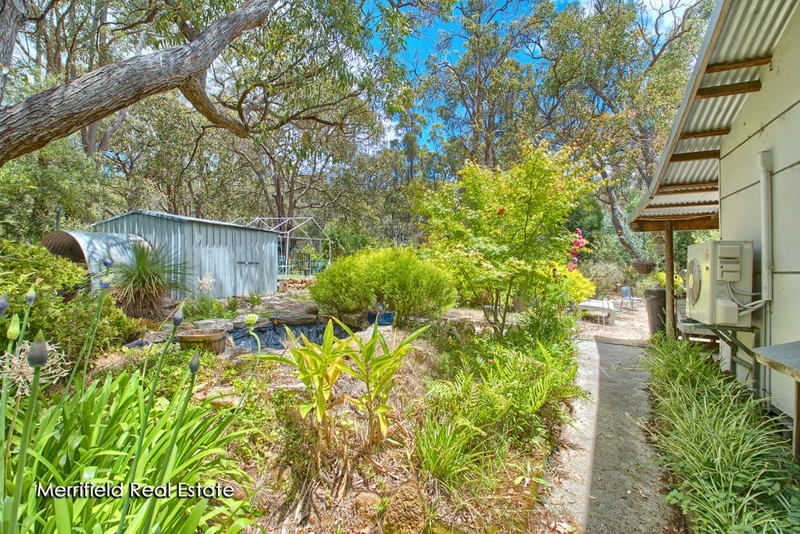 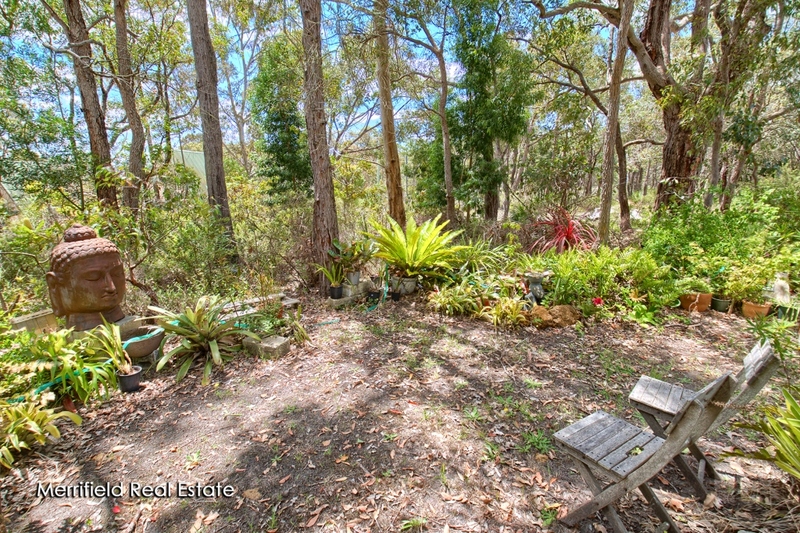 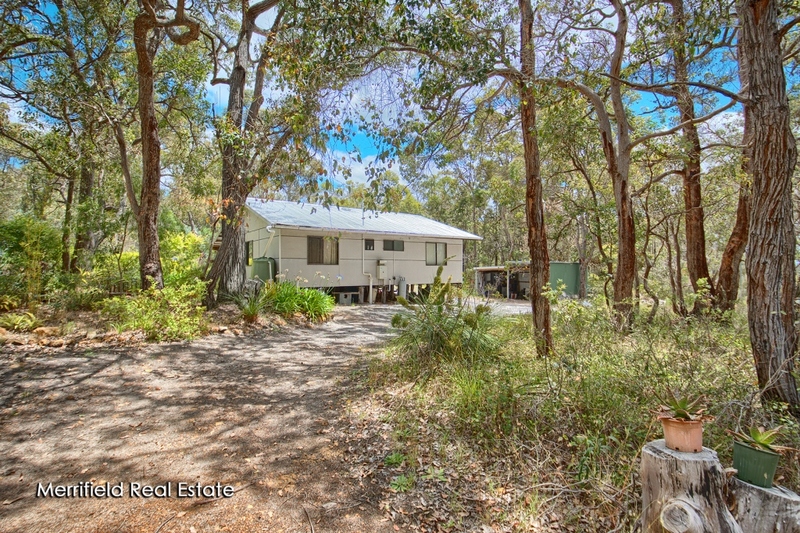 This property consists of a three-bedroom home set among the gum trees on a beautiful 8094sqm block. 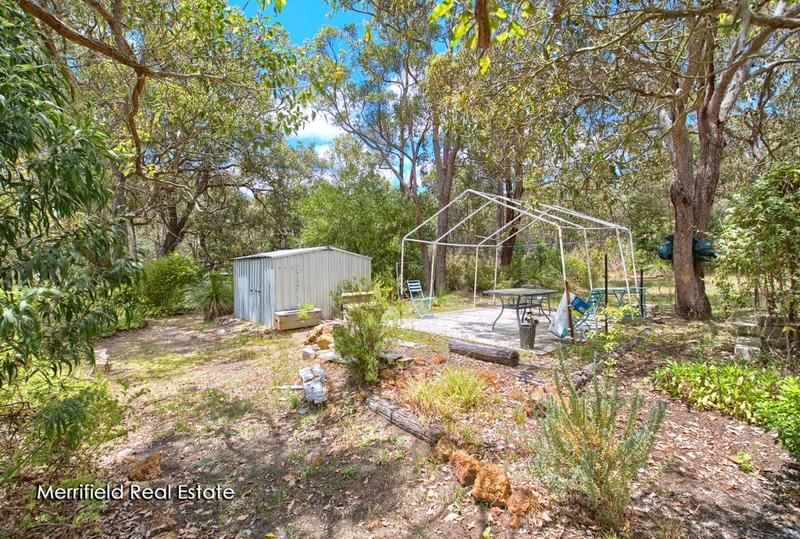 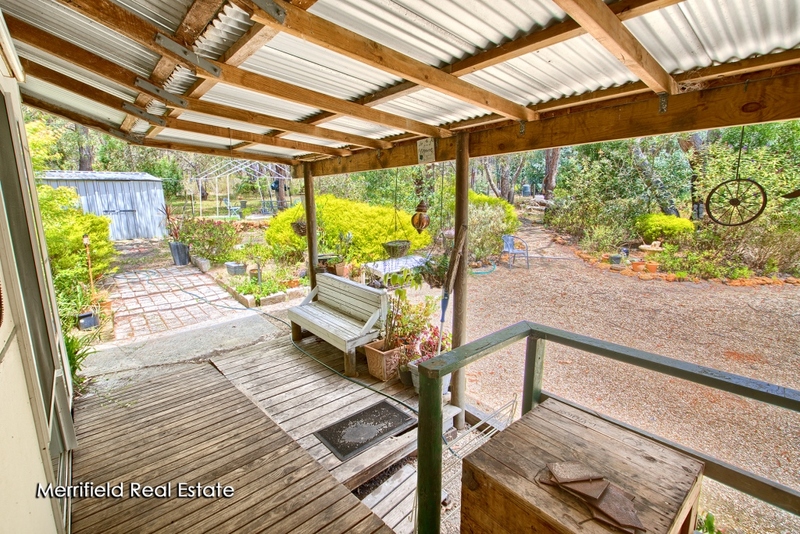 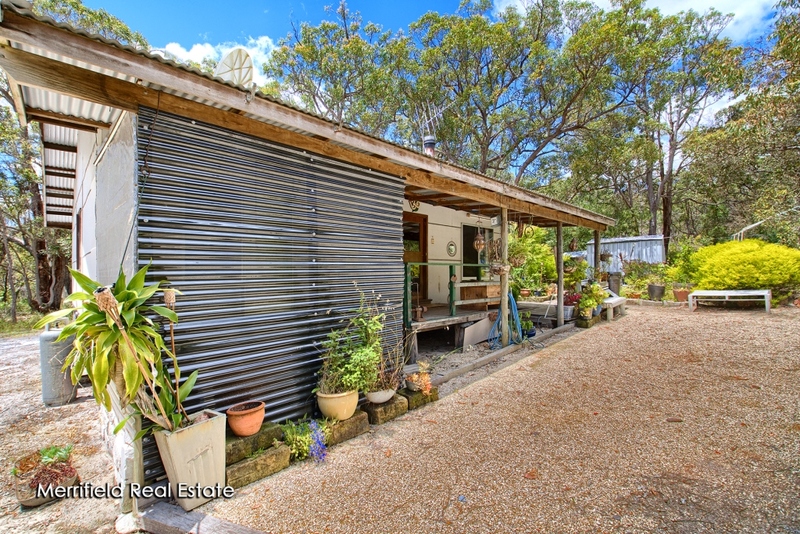 The manageable two acre property has a double carport workshop, chook run, aviary, garden shed and meandering cottage gardens complete with fruit trees in a natural bush setting. 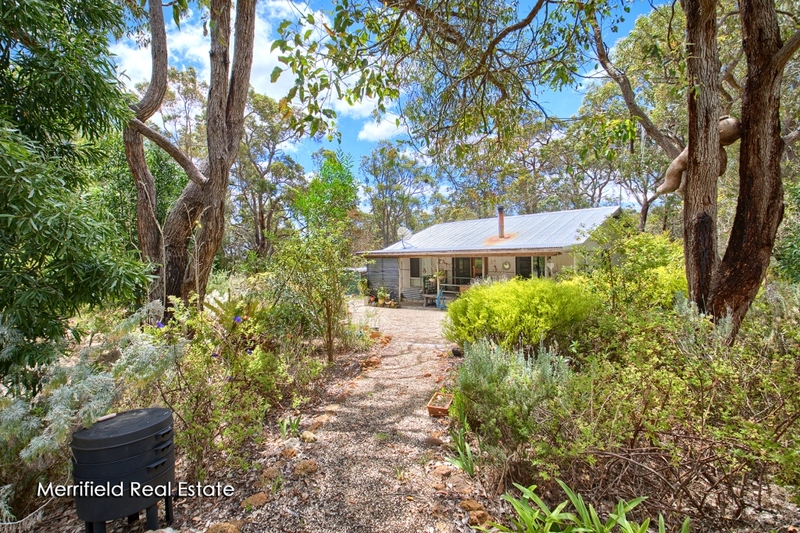 Located on a major regional tourist route at the foot of the beautiful Porongurup Ranges, this property is close to attractions thousands of people travel miles for – wineries, art events, walk tracks, restaurants and the memorable experience of exploring the renowned Porongurup National Park and nearby Stirling Ranges. 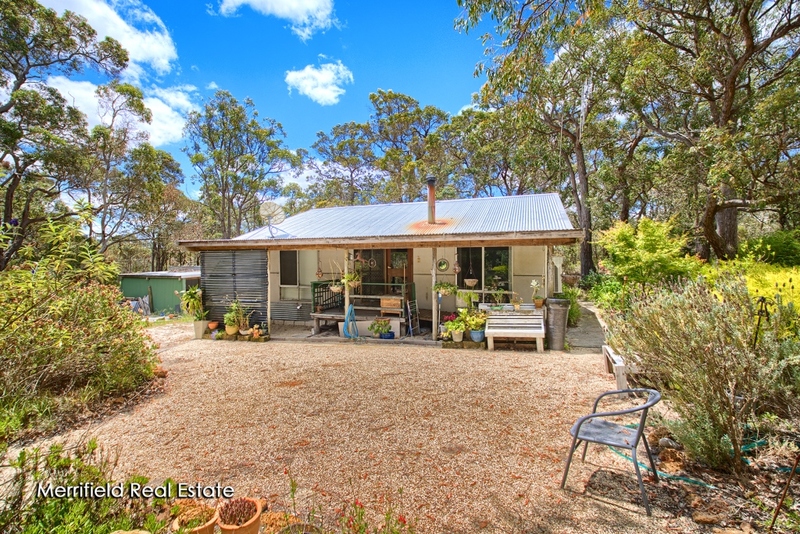 Situate within walking distance of the general store with great coffee and food, while for more specialised needs, it’s only a 15-minute drive to Mt Barker and half an hour to the City of Albany. 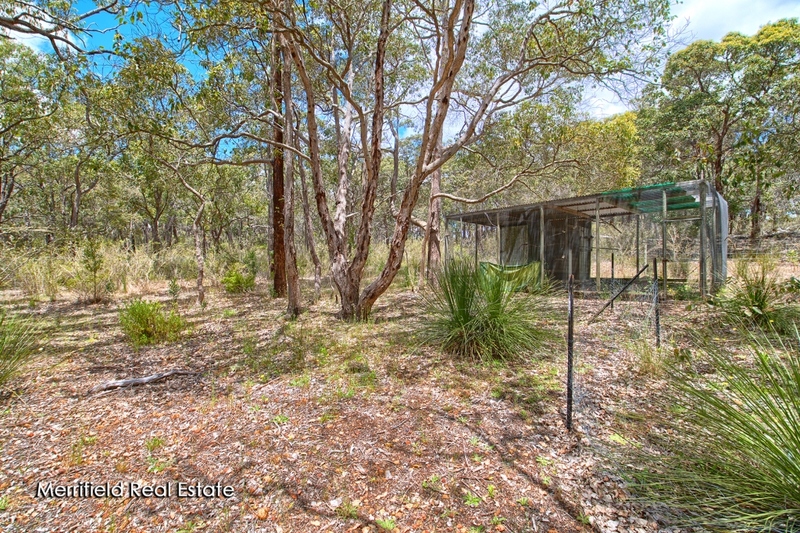 The home itself is tucked away off the road behind a screen of natural bush. 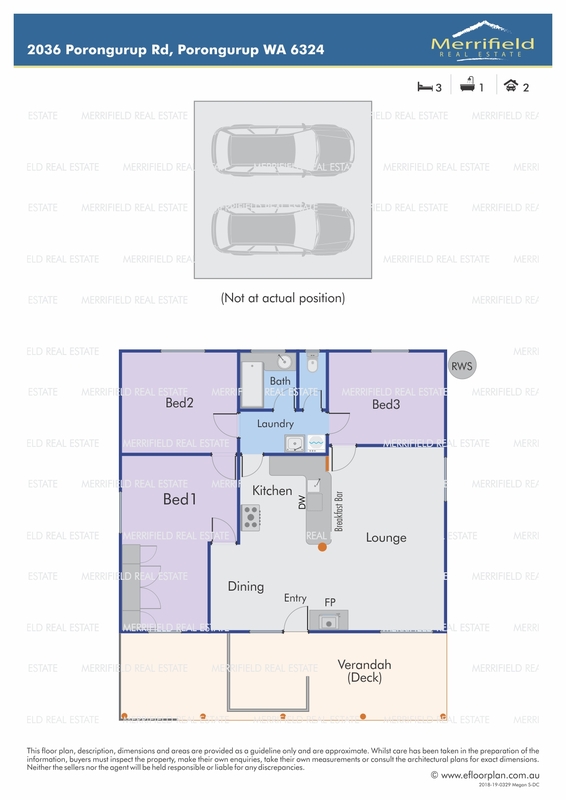 Built of fibro and iron, it has a rear deck and an open-plan living area combining the lounge kitchen and dining room. 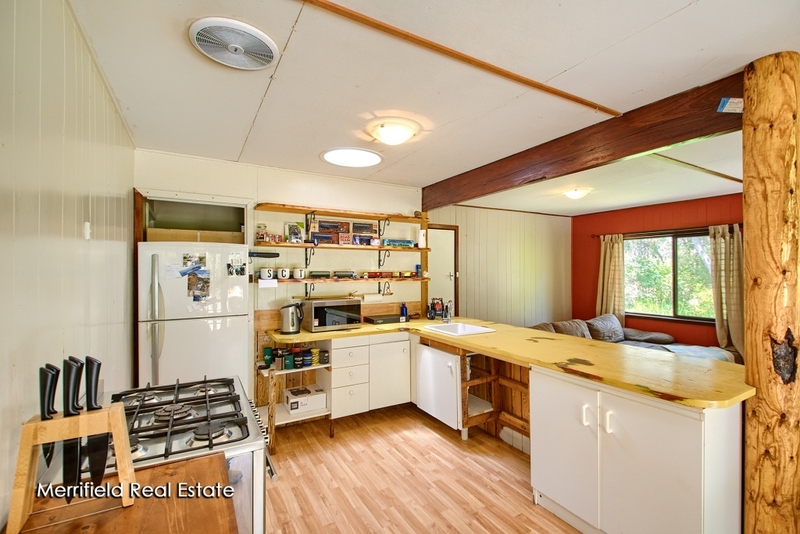 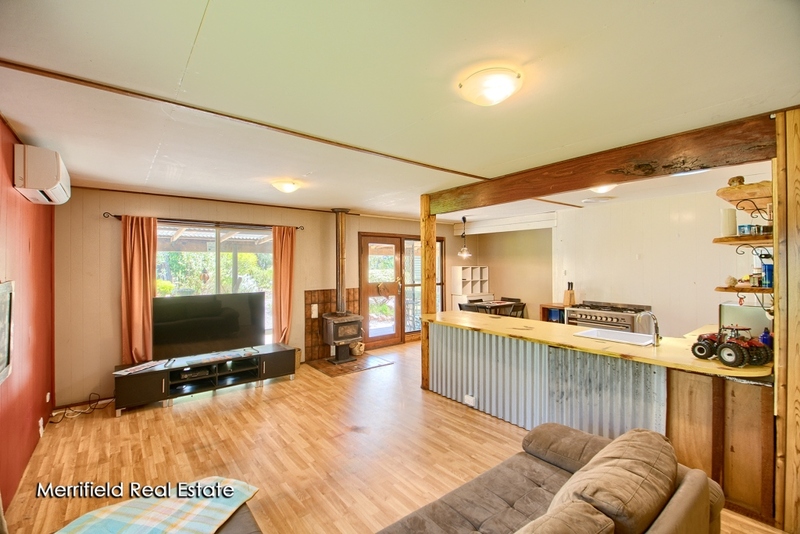 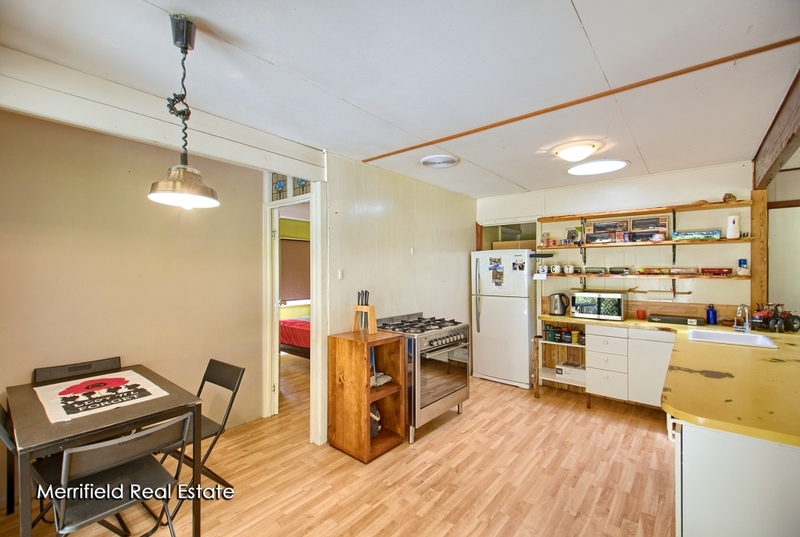 For comfort of living there is a big wood fire and reverse-cycle air-conditioning while the kitchen area has good cabinetry with a five-burner stove as well as space for a dishwasher. 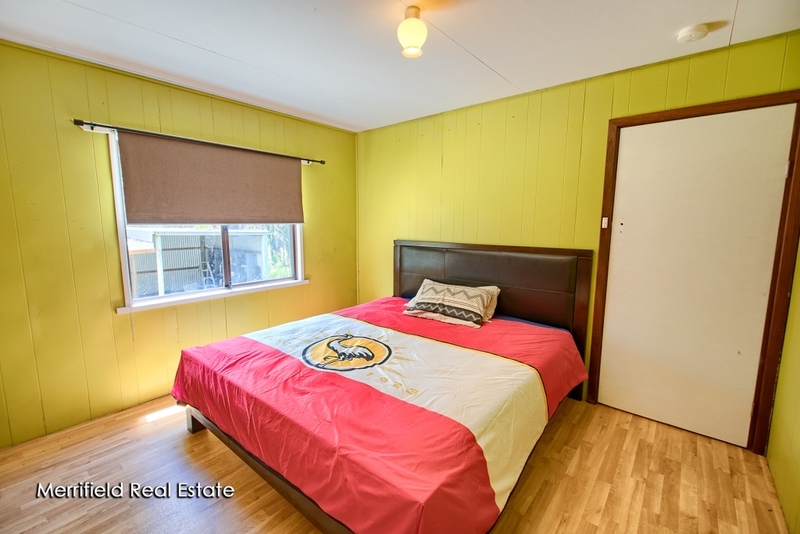 The three bedrooms includes the master that is king size with a wall of built-in robes, plus a bathroom with bath, shower and basin and a separate laundry. 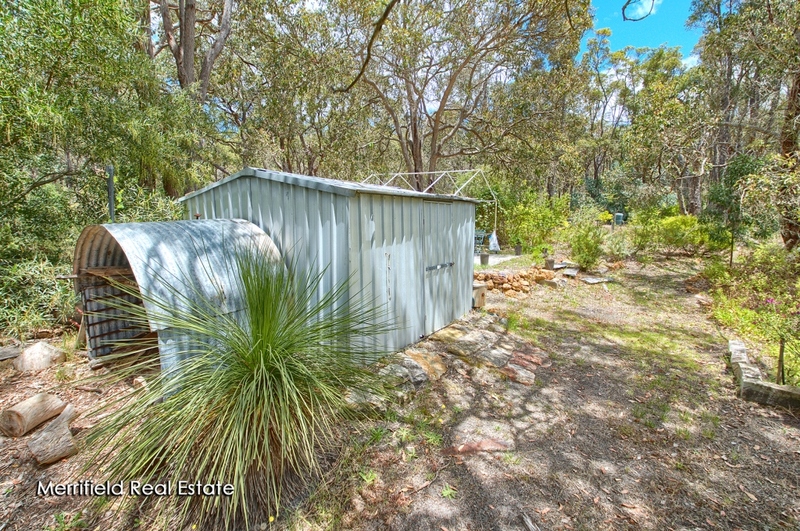 Other benefits of the home is that it is connection to scheme water and the NBN. 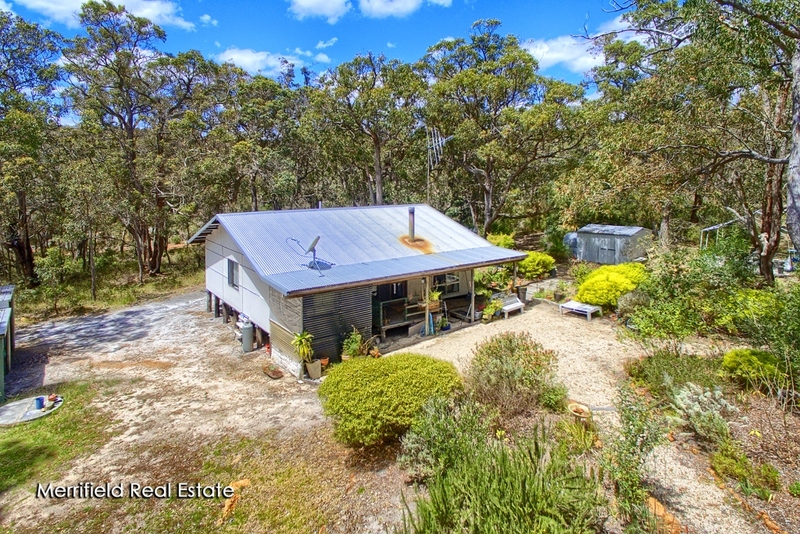 While this property will undoubtedly interest those looking for an uncomplicated lifestyle, it will also appeal to tenants who work in the nearby vineyards, farms or commute to Mt Barker and Albany for jobs. 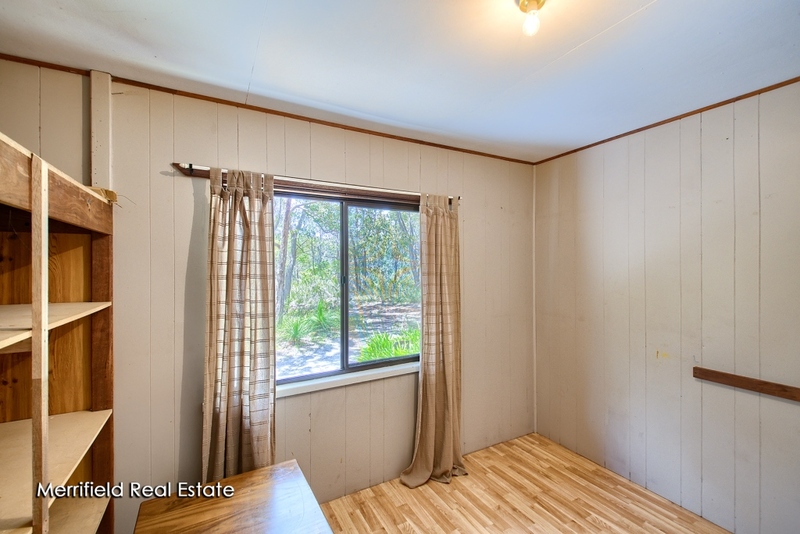 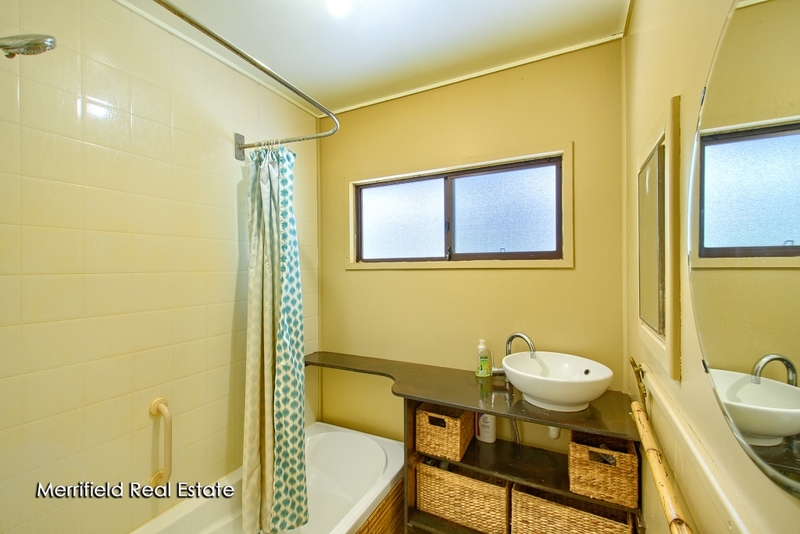 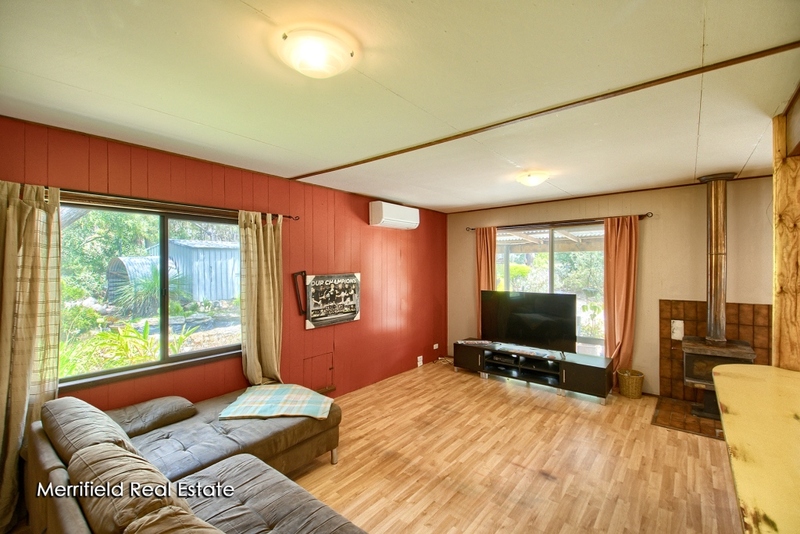 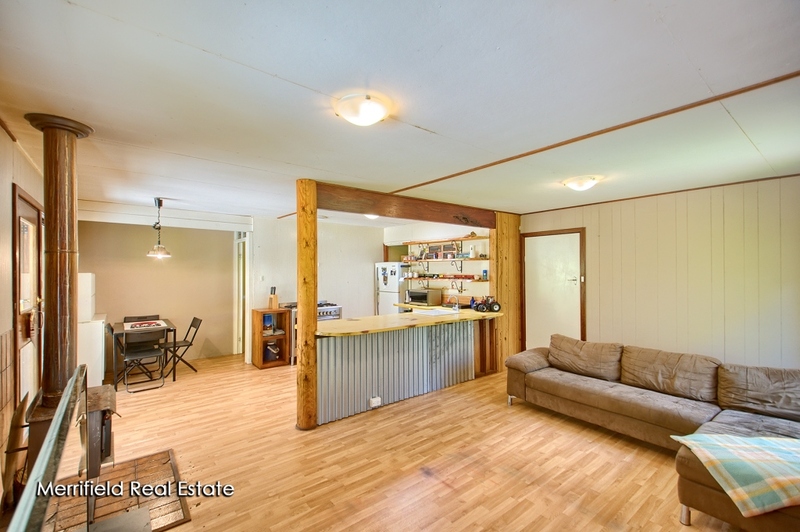 Being currently leased at $250 a week, it presents an ideal investment opportunity with good returns. 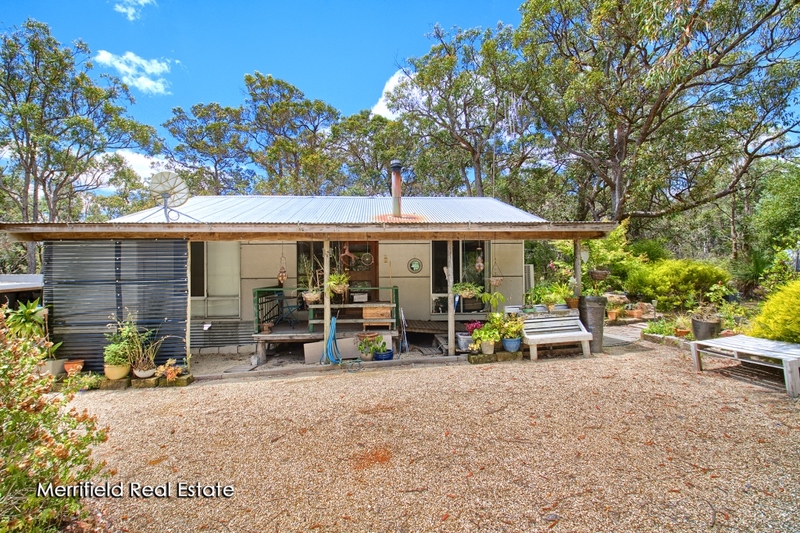 For a rural lifestyle property in an outstanding location, this represents excellent buying.